This is great for all the outdoor adventures this 2018 Trail Runner toy hauler travel trailer is half ton tow able and you can easily fit two quads in the back. With sleeping capacity for four you can get the entire family out and enjoy the summer. Call us today for trade appraisal or to set up financing lots of options available. Enjoy your own little piece of paradise with your new Trail Runner by Heartland. 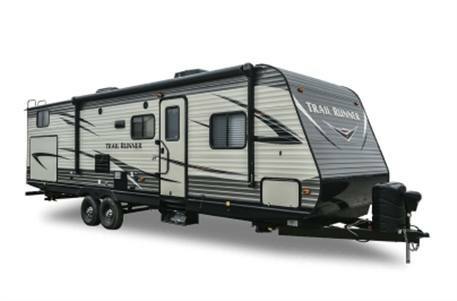 Trail Runner is loaded with features that help make your RV experience a memorable one. Our spacious living areas are enhanced with deep slide-outs creating the perfect room for entertaining family and friends. Relax while enjoying the spectacular views through oversized picture windows that virtually surround you with light and views of the beautiful outdoors. Kick back and watch your favorite movies, sports or news on the built in entertainment center. Snuggle in with a great book on the couch or challenge a family member to a heated game of cards at the dinette table. 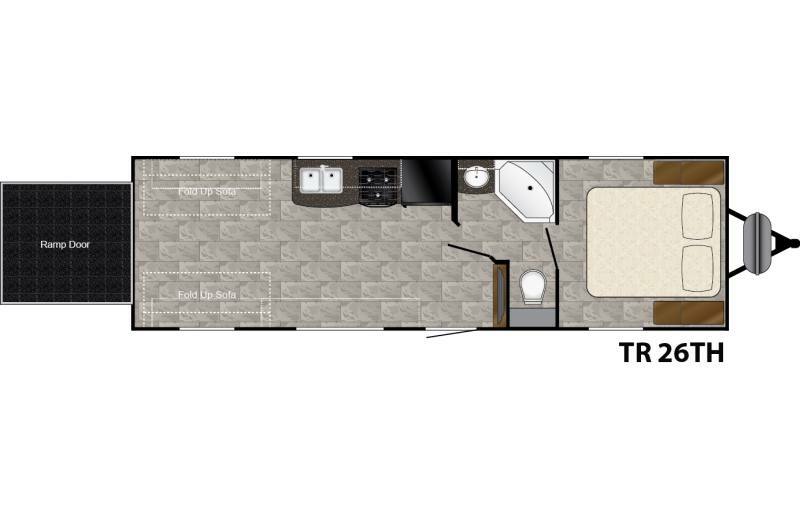 Trail Runner offers you the extra living room you need at a price that truly lets you enjoy your vacation. Length: 30 ft. 8 in. LP Capacity: (2) 30 lb.